A global movement to give nature rights is growing in the face of a mass extinction eventdriven by climate change and human over-use of the natural world. Recent assessments show one third of freshwater fish species under threat of extinction alongside at least one quarter of local livestock breeds, and large numbers of the bees, bats and birds which pollinate crops. Linked to the decline of species, in the last two decades alone around 20 percent of the land we use to grow food has become less productive. Responding to these and other threats to nature, as well as high-profile campaigns like Extinction Rebellion, initiatives are increasingly taking root from the United States to India, and Ecuador to Bolivia, Turkey and Nepal, that give rights to nature. They aim to respect and protect the living environment, and change how human society relates to its own supporting biosphere. In February 2019 voters in Toledo, Ohio, approved a ballot to give Lake Erie, suffering heavy pollution, rights normally associated with a person. But the story which brought this shift to international attention was the tale of a river in New Zealand. On March 20th, 2017, the New Zealand government passed legislation recognizing the Whanganui River as holding rights and responsibilities equivalent to a person. The river – or those acting for it – will now be able to sue for its own protection under the law. This was no overnight innovation; it was the culmination of two centuries of physical and legal struggle by the Whanganui people against colonial control of the river and its water, including eight years of intensive negotiation. Author gaianicityPosted on April 3, 2019 Tags ‘free trade’ agreements, global economy, insane trade, subsidiesLeave a comment on How Insane is Global Trade? When Mayor Valérie Plante jets off to Buenos Aires to attend an international summit of cultural cities, she will offset the 2.5 tonnes of greenhouse gases the trip will generate by purchasing carbon credits. At city hall on Tuesday, Plante announced that all travel by elected officials, political staff and municipal employees will from now on be evaluated on the basis of necessity and the most ecological way to get there. And all air travel will be compensated by buying credits to the Bourse du carbone Scol’ERE, a program that funds environmental education for schoolchildren. Plante didn’t offer a target for reducing travel or emissions or even say how much money is budgeted to buy credits. (Bourse du carbone Scol’ERE says one credit, which equals one tonne of carbon dioxide, costs $26.09). But she did say that about 150 trips were taken last year by city representatives and she has already minimized her own travel for environmental as well as family and financial reasons. The Green New Deal proposal calls for “a new national, social, industrial, and economic mobilization on a scale not seen since World War II and the New Deal era.” The Nuclear Freeze era has relevance, too, as a reminder of what is possible. 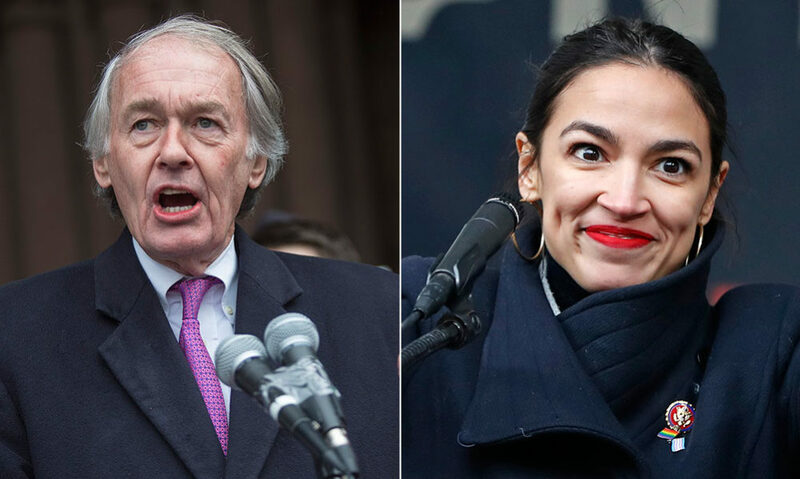 Even as the pragmatic Democratic leadership shies away from the full-bore ambitions of the Green New Deal—more modestly proposing, for example, to salvage U.S. support for the Paris Climate Accord—the politics of environmental catastrophe have already shifted. Julie Gelfand says she’s never clashed with a federal department over one of her recommendations in the five years she’s been Canada’s environment watchdog. On Tuesday, when the commissioner of environment and sustainable development tabled her final reports in Parliament before she leaves the position this fall, that streak ended. Finance Canada rejected her recommendation that, in its hunt for favourable tax measures for the oil and gas industry, the department take into account evidence that integrates economic, social, and environmental sustainability on an equal basis. “Disagreed,” the department retorted. Some of those considerations, it argued, may be more “relevant” than others. She also found that the federal Environment Department did not consider the Canadian government’s $4.5 billion purchase of the Trans Mountain oil pipeline and expansion project in its ongoing assessment of corporate handouts to the oil and gas sector. The pipeline purchase, completed by the Trudeau government last summer, is among a series of federal investments, including some “that were designed to increase production of fossil fuels and manage waste from oil sands production” that should have been on a list of subsidies, said Gelfand’s audit. Gov. Andrew Cuomo and fellow Democrats who control the Legislature have reached a deal to make New York the third state with a ban on single-use plastic grocery bags as they worked to finalize budget agreements, officials said Friday. Former attorney general and justice minister Jody Wilson-Raybould and former Treasury Board president Jane Philpott have been kicked out of the Liberal Party of Canada caucus. Moments before he began speaking, Wilson-Raybould shared the news herself, getting ahead of the prime minister before he began the televised address. “I have just been informed by the prime minister of Canada that I am removed from the Liberal caucus and as the confirmed Vancouver Granville candidate for the Liberal Party of Canada in the 2019 federal election,” Wilson-Raybould tweeted with Liberal MPs gathered on Parliament Hill to decide her fate. Seeking information, offering suggestions, arguing, saying no — these are all things that backbenchers should be doing regularly inside caucus. burning question for observers of the SNC-Lavalin affair is whether former cabinet ministers Jody Wilson-Raybould and Jane Philpott, who publicly opposed actions of their government, will be cut loose from the Liberal caucus. While some, including former deputy prime minister Sheila Copps, urge retribution, others in the party admire these MPs and want them to stay on. 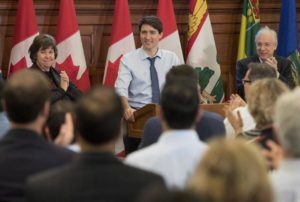 Whatever the pair’s political future, my research around party discipline suggests they can expect some rough treatment and career drudgery in the Liberal caucus. Over the past year, I have had the privilege of interviewing 125 current and former politicians and political staff for a book I am writing about how party discipline has intensified in Canada in recent years. A common theme raised by current and former members of cabinet, party leaders, party whips, private members and political staff is that everyone affiliated with a political party identifies as a member of a team. They form bonds as they go on a journey together to realize common goals. Sparring with adversaries occurs with the confidence that teammates have your back. Members understand they must never be a public distraction for the team leader. Within a political team, there is considerable deference to authority, and individual behaviour conforms to social and institutional norms. 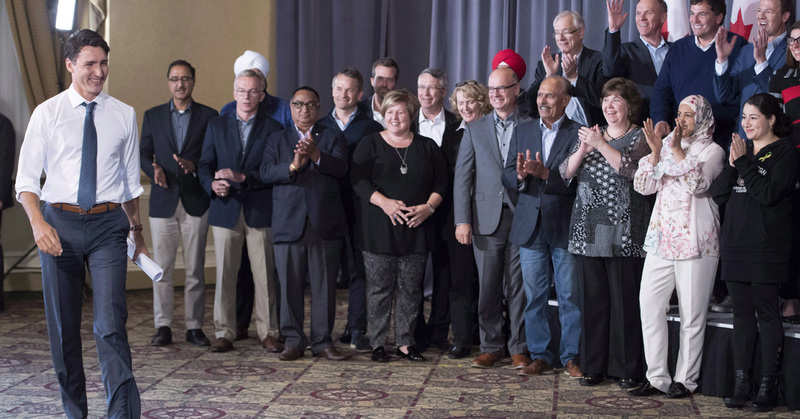 Many backbenchers — that is, members who are not part of cabinet — find national caucus meetings to be stifling rather than enlightening. The leadership says they should come to the microphone to share opinions, but there is so much fear that people bottle things up. They loathe the watchful eyes of powerful staff in the leader’s office and who appear to lack respect for the elected.